Americas Rallycross (ARX) announced today its 2019 ARX and ARX2 schedules, which includes six ARX Supercar events and nine ARX2 events, beginning in June and concluding in October. In August, the streets of Trois-Rivieres in Canada will once again host the ARX and ARX2 series alongside the FIA World Rallycross Championship Presented by Monster Energy Drink. ARX also returns to the Circuit of The Americas in Austin, Texas on September 28 before concluding the season with a second trip to the Mid-Ohio Sports Car Course for the Cooper Tires ARX of Mid-Ohio, October 5 - 6. 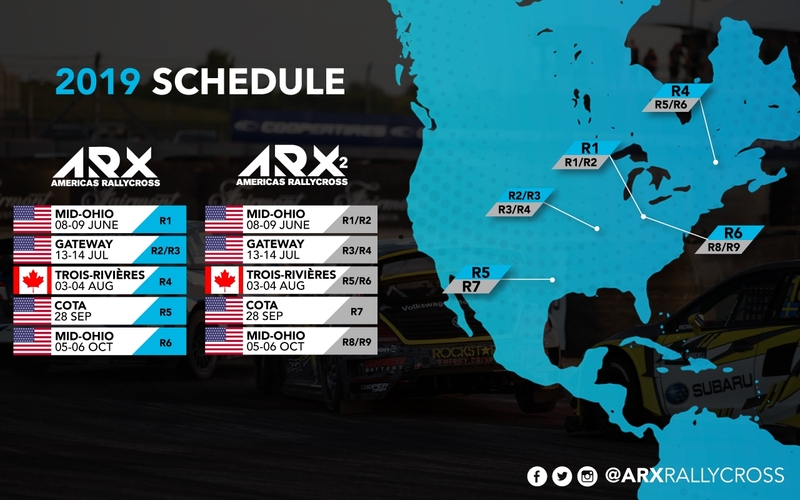 Tickets for the June and October Cooper Tires ARX of Mid-Ohio events and ARX of Canada are on sale now, while tickets to the ARX of Gateway and ARX of COTA will be on sale soon. ARX is a North American-based rallycross championship fielding action sports stars, world-class manufacturers and competing in premier locations around the continent. 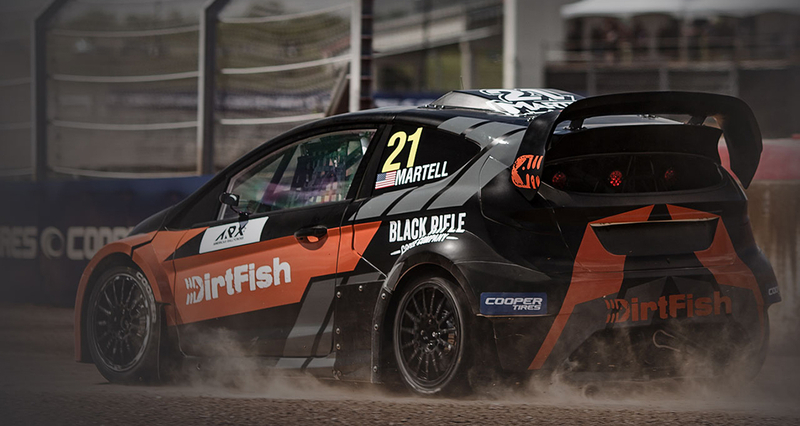 ARX is the next evolution of the high speed, action-packed world of rallycross. Rallycross is the fastest growing form of racing in the world. Short races,viewer friendly asphalt and dirt circuits with 600 brake horsepower production-based racecars make for exciting racing and is suited to the way we enjoy sports today. IMG, the global sports and entertainment agency is the promoter and commercial rights holder of the series.